I’ve said it once and I’ve said it again (and again and again): I’m a huge fan of Peter M. Ball‘s short fiction. Pete’s subject matter, his tone, his concise sentences, his poignant and heartwrenchingly beautiful turn of phrase — all of it combines to make stories that I simply must read again and again because I like them so much. His stories linger in my imagination long, long, long after I’ve read them — and I get a buzz every time he publishes something new because I know it will be gold. Many of his stories are available online, so if you haven’t yet encountered Peter’s work, click here and follow the tantalising links. Peter has won Ditmar and Aurealis Awards, his work has been collected in several international Year’s Best collections, and he has had incredible publishing success both here in Australia and also overseas. Today, Pete shares some great practical advice — all writers, take note! I first heard this at a seminar being run by, I think, Kevin J. Anderson, and it’s proven to be one of the most remarkably useful things I’ve ever done. It doesn’t have to be complex, so long as you know when something is sold, what rights you’ve given away, and when they revert. The initial logic to this was simple: Having a central database where you list all the rights sold for a piece, who their sold to, and when they revert seems like a lot of superfluous work at the start your career when you’re only selling a handful of stories, but it’ll become important faster than you think. When someone emails and says “I’d like to reprint X” or “can we have the audio rights to Y”, you’re far better off checking one well-maintained document than a scrambling through a filing cabinet to find the original contract. More importantly, getting into the habit of entering the rights your selling when you sign off on a contract means you think about them a little more. This is way more important than it used to be for short story writers, given the changes the web has wrought on our industry. Novelists are given all sorts of warnings about their rights, but short story writers…well, we’ve never really had to give it much thought until now. Tracking rights means you have to ask yourself if you’re really happy to let that online site archive your work forever? Are you bothered by the fact that this market will take e-book rights forever and continue selling your work long after you’ve spent the dollars they’re paying you now? I have no problem with people doing either, if that’s best for their career, so long as they are aware they’re the ones making that decision. It’s easy to gloss past these questions when you’re just perusing the contract, but tracking your rights means you need to answer them before you sign the rights away. Track your damn rights. Start early, even when it feels absurd, when there’s but one lonely story sale sitting in your spreadsheet. Future you with thank you for it. Peter M. Ball is a writer from Brisbane, Australia. His publications include the novellas Horn and Bleed from Twelfth Planet Press, and his short stories have appeared in Strange Horizons, Apex, Weird Tales, and anthologies including Dreaming Again, Interfictions II and Eclipse 4. He can be found online at www.petermball.com and on Twitter @Petermball. 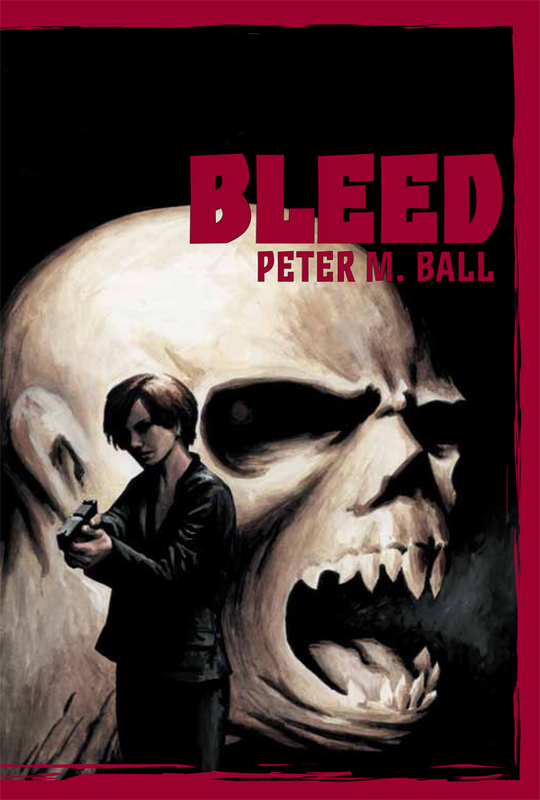 Tags: bleed, contracts, peter m ball, rights, tuesday therapy, twelfth planet press, writing advice. Bookmark the permalink.